ENCORE program's first forum held at the University of Melbourne has been a big success! 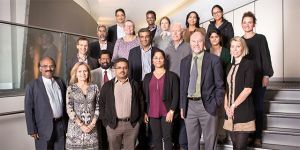 Through this forum the ENCORE Faculties and Trainees from Australia and India had opportunity to meet and showcase their expertise in respective fields. Further details and photo gallery to follow soon.